Part three of a series. part 1, part 2. 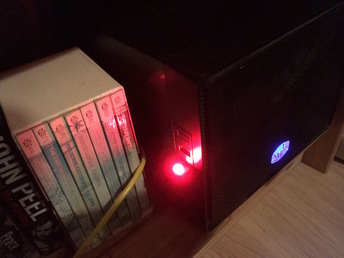 One morning last week I woke up to find the LED on my NAS a solid red. I've never been happier to have something fail. The actual failure was a simple thing to fix. But I never did get the email. On further investigation, there are problems with using exim and systemd in Debian at the moment: it's possible for the exim4 daemon to exit and for systemd not to know that this is a failure, thus, the mail spool never gets processed. This should probably be fixed by the exim4 package providing a proper systemd service unit.